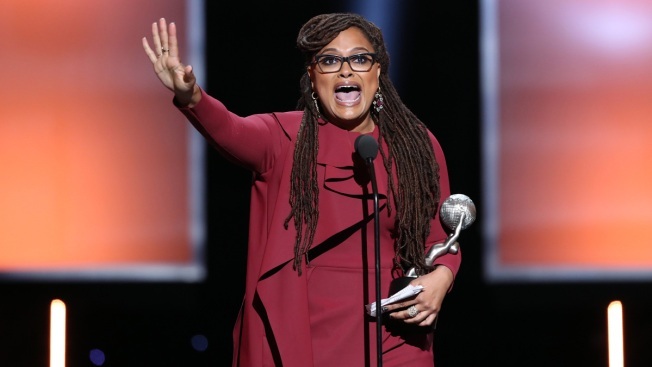 Ava DuVernay accepts the Entertainer of the Year award onstage during the 49th NAACP Image Awards at Pasadena Civic Auditorium on January 15, 2018 in Pasadena, California. Ava DuVernay's "A Wrinkle in Time" may have disappointed at the box office, but she's already booked another big-budget project. Warner Bros. said Thursday that DuVernay will direct "The New Gods," a DC Comics property created by the famed comic book artist Jack Kirby. It's an elaborate science fiction work, part of Kirby's "Fourth World Saga," about two warring alien planets. It debuted in 1971. DuVernay became the first African-American woman to direct a live-action movie with a budget of $100 million or more with "A Wrinkle in Time." The Disney release debuted last weekend with $33 million in ticket sales. Warner Bros. recently reshuffled its DC film division after critical duds like "Justice League" and "Suicide Squad." A "Wonder Woman" sequel is in development and an "Aquaman" spinoff is due out in December.